We get many requests for our JOY T-shirts. For a limited time, order one for you or someone you love! Choose from three styles made with organic cotton and printed locally. Orders will be taken until Friday, July 17th at 5:00 PM. 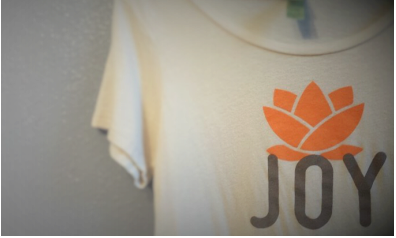 T-shirts are estimated to be available for pick-up at the JOY Collective by July 30. T-shirts can be shipped for an additional $7.00 S&H.